House fly maggots breed during the summer primarily in garbage. You may have noticed that your trash can at home is infested with soft, whitish worms during the summer months; if this is the case, house flies have bred in your home. 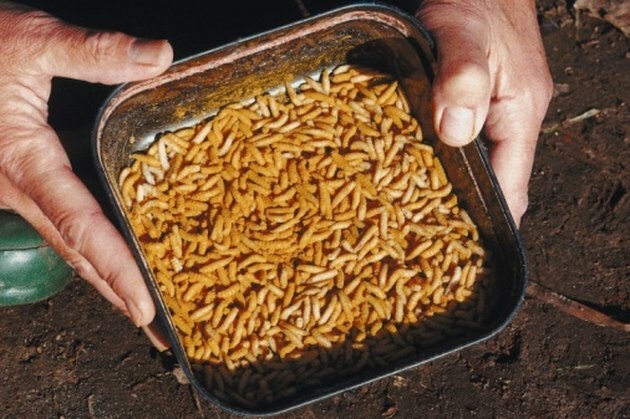 Killing the maggots is essential, since these creatures are known to spread disease. 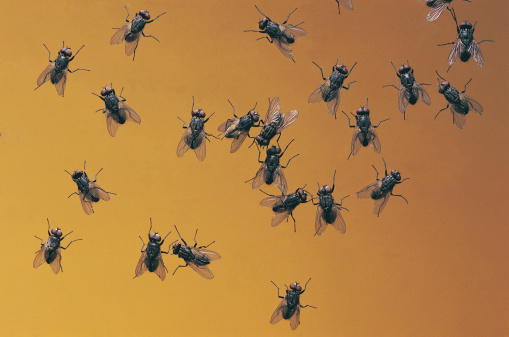 Clorox bleach has been used as an effective killer of house fly maggots. Get rid of your maggot problem with your own Clorox bleach solution. Maggots are disease-spreading creatures that often infest trash cans. Pour a gallon of water into a large pot and place it on your stove. Turn the burner to the "High" setting. Bring the water to a boil. When the water begins bubbling, add one cup of Clorox bleach. Pour the boiling water over the maggots, ensuring any fabrics or rugs are out of the way to avoid bleaching.